Welcome back, everyone! Are you ready for it? Another great calendar year in Ed-Tech? I know I am! I can’t wait to see what this year holds. 2018 was full of so many great ideas that I know 2019 can only be better! Do you have the resolution to try something new? A “new year, new me” sort of thing? Don’t just insert innovation into your diet – try it with your instruction too! Even if it’s just something small, trying something new can reinvigorate our practice and our students. My blog has some neat ideas for new activities, such as my post on Choice Boards, Student Expression, or one of my favorite tools: Pear Deck! Curating Content: Wakelet (The new Padlet, only better)! This is a pretty neat tool I must say! I had heard of Wakelet last year when Padlet instituted a fee structure, but I had yet to play with it. Then, I was on a Twitter Chat with my good friend Colleen Terrill before the holidays and she was able to save the WHOLE chat to Wakelet. She then shared the collection or “wake” with me! She put me in touch with James from Wakelet and he walked me through it. Well, to say I was blown away is an understatement. This tool has so much potential and you can do so many cool things with it! It reminds me of Padlet and Pinterest all wrapped into one! I’m just getting into it, but I am SO pumped about it! You could even use this awesome tool to create Choice Boards too! This is a great post by Karly Moura about Wakelet where she includes others who are using it and her experience with it! I have a feeling you’re going to see this tool EXPLODE on the EdTech scene! This is so much fun! It came to be from an AWESOME Ed-Tech blogger by the name of Jake Miller. If you haven’t checked out his blog, I HIGHLY recommend subscribing. He teaches everything using GIFs! It’s so cool! I’m a video girl myself, but GIFs are quick and FUN! Check out his blog to see what I mean. Meanwhile, here’s how you can use emoji for bullets. Take a look at my video below! Have you ever played Guess Who? Well, this is the digital version that you can custom modify! I caught this neat activity in another blog I subscribe too, Control Alt Achieve by the AWESOME Eric Curts! By subscribing, I get an email with little gems including his “intake” from other Ed-techies! This one is by Amanda Sandoval, a history teacher from California. Have you had family Google Photos show up in your school account? Wonder why a link is opening under your personal account when you’re logged in at school? 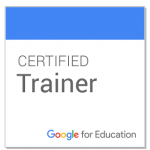 Take a look at this great post from Shake Up Learning regarding how to manage your multiple Google Accounts. She actually suggests creating separate profiles. This is a GREAT tip! 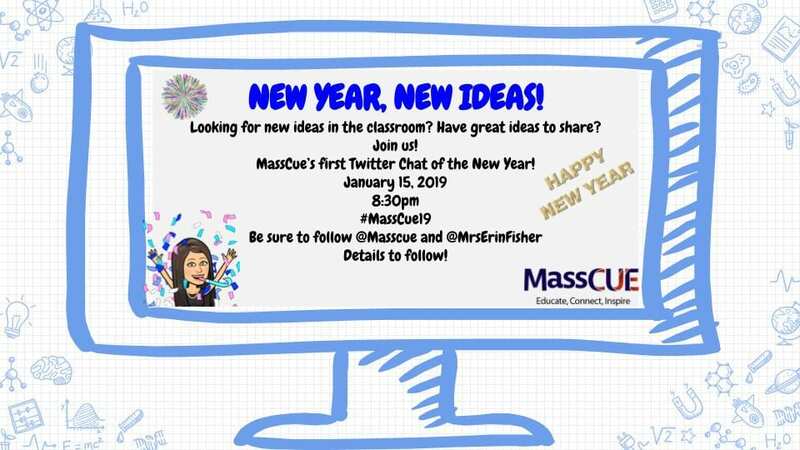 For more new ideas, please join me in the first MassCue Twitter chat of the new year. We will be discussing new ideas and learning from each other! It will be GREAT! Happy New Year! I hope you use many new ideas! Another great post Erin! I love that Colleen shared Wakelet with you. I have gotta try it!